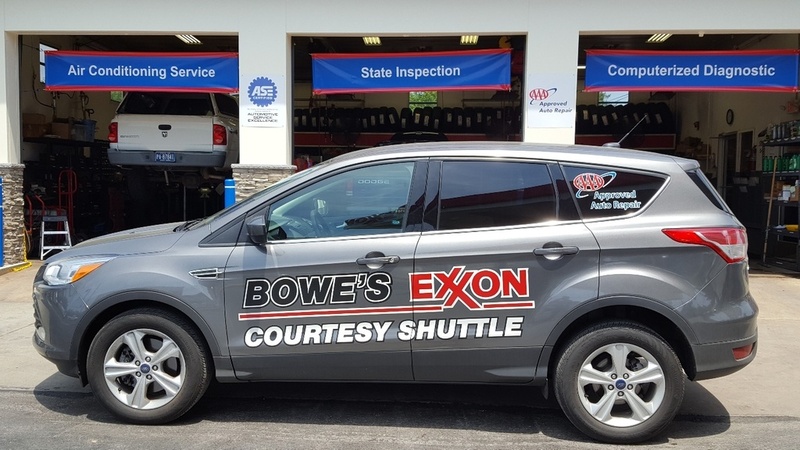 Here at Bowe’s Exxon Car Care Center we service all types of cars and light duty trucks. From oil changes and chassis lubrication, to manufacturers recommended maintenance and PA state inspection and major auto repairs. When it comes to your cars maintenance we’re equipped to handle all systems. We offer all of our customers a free local courtesy shuttle to prevent auto repairs from becoming a major interruption in their day. You keep running your life while we focus on repairing and maintaining your car.